Escape the urban bustle at Falls Park on the Reedy and Lake Conestee Nature Park. There's lots more to do: take in the views from Liberty Bridge, brush up on your knowledge of spirits at Dark Corner Distillery, grab your bike and head to GHS Swamp Rabbit Trail, and explore and take pictures at Fluor Field at the WestEnd. To find reviews, maps, where to stay, and other tourist information, refer to the Greenville road trip website . Toronto, Canada to Greenville is an approximately 5-hour combination of flight and taxi. You can also do a combination of flight and train; or drive. When traveling from Toronto in February, plan for warmer days in Greenville, with highs around 16°C, while nights are somewhat warmer with lows around 3°C. Cap off your sightseeing on the 24th (Sun) early enough to travel to Aiken. Founded in 1835, the city of Aiken was named after William Aiken, the president of the South Carolina Railroad. Kick off your visit on the 25th (Mon): play a few rounds at Aiken Golf Club, delve into the lush surroundings at Hitchcock Woods, and then stop by The Bone-i-fide Bakery & Grooming. Get ready for a full day of sightseeing on the next day: stop by Cyndi's Sweet Shoppe, then admire the majestic nature at Aiken State Park, and then identify plant and animal life at God's Acre Healing Springs. Inspirock's itinerary builder makes planning a Aiken trip simple and quick. Getting from Greenville to Aiken by car takes about 2.5 hours. In February, plan for daily highs up to 18°C, and evening lows to 3°C. Wrap up your sightseeing on the 26th (Tue) to allow time to travel to Columbia. Kick off your visit on the 27th (Wed): pause for some serene contemplation at St. Peter's Catholic Church, tour the pleasant surroundings at Riverbanks Zoo and Botanical Garden, then meet the residents at Sea Lion Landing, and finally test your team's savvy at popular escape rooms. Get ready for a full day of sightseeing on the 28th (Thu): admire the majestic nature at Dreher Island State Park, identify plant and animal life at Saluda Shoals Park, and then brush up on your military savvy at Fort Jackson Museum (not open to All public). To find more things to do, where to stay, other places to visit, and tourist information, read Columbia trip planner . Drive from Aiken to Columbia in 1.5 hours. In February in Columbia, expect temperatures between 19°C during the day and 5°C at night. Finish your sightseeing early on the 28th (Thu) so you can drive to Hilton Head. Step out of the city life by going to Coligny Beach and Waterskiing & Jetskiing. And it doesn't end there: trek along Hilton Head Island Bike Trails, relax and rejuvenate at some of the top local wellness centers, sample the fine beverages at Hilton Head Distillery, and see the interesting displays at Coastal Discovery Museum. To find ratings, photos, other places to visit, and more tourist information, read our Hilton Head trip builder tool . Traveling by car from Columbia to Hilton Head takes 3 hours. Alternatively, you can do a combination of train and taxi; or take a bus. In February, plan for daily highs up to 19°C, and evening lows to 9°C. Finish your sightseeing early on the 4th (Mon) so you can drive to Beaufort. Beaufort is a city in and the county seat of Beaufort County, South Carolina, United States. On the 5th (Tue), look for all kinds of wild species at Savannah National Wildlife Refuge, look for gifts at Monkey's Uncle, and then immerse yourself in nature at Hunting Island State Park. Here are some ideas for day two: contemplate the long history of Old Sheldon Church Ruins, stroll the grounds of Beaufort National Cemetery, then stroll through Henry C. Chambers Waterfront Park, and finally stop by The Chocolate Tree. To find reviews, traveler tips, other places to visit, and more tourist information, refer to the Beaufort journey planning site . You can drive from Hilton Head to Beaufort in 1.5 hours. Alternatively, you can take a bus. March in Beaufort sees daily highs of 22°C and lows of 10°C at night. Wrap up your sightseeing on the 6th (Wed) early enough to drive to Charleston. Get in touch with nature at Folly Beach Public Beach and Horse-Drawn Carriage Tours. Step out of Charleston with an excursion to The Center for Birds of Prey in Awendaw--about 38 minutes away. There's much more to do: take in the local highlights with Walking tours, make a trip to Charleston City Market, admire all the interesting features of Riley Waterfront Park, and admire the natural beauty at Magnolia Plantation & Gardens. To see traveler tips, reviews, ratings, and other tourist information, read our Charleston trip planning tool . Getting from Beaufort to Charleston by car takes about 2 hours. Other options: take a bus. In March, plan for daily highs up to 22°C, and evening lows to 9°C. Wrap up your sightseeing on the 12th (Tue) to allow time to drive to Myrtle Beach. Myrtle Beach is a coastal city on the east coast of the United States in Horry County, South Carolina. 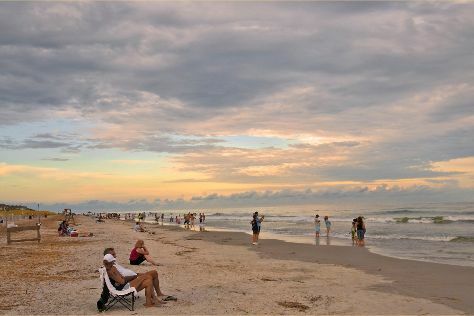 Take a break from the city and head to Myrtle Beach and Litchfield Beach. 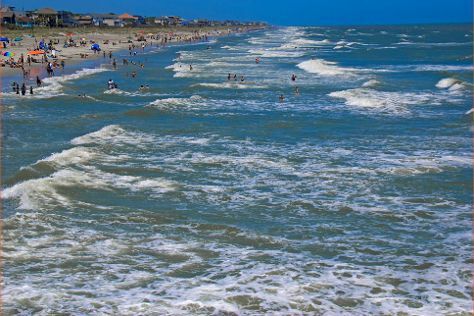 You'll find plenty of places to visit near Myrtle Beach: Murrells Inlet (Brookgreen Gardens & Huntington Beach State Park) and Cherry Grove Beach (in North Myrtle Beach). The adventure continues: wander the streets of Broadway at the Beach, admire nature's wide array of creatures at Ripley's Aquarium, identify plant and animal life at Alligator Adventure, and get interesting insight from Great Escapes Kayak Expeditions. To find traveler tips, where to stay, other places to visit, and other tourist information, read Myrtle Beach trip maker site . Getting from Charleston to Myrtle Beach by car takes about 2.5 hours. Other options: take a bus. In March in Myrtle Beach, expect temperatures between 20°C during the day and 8°C at night. Wrap up your sightseeing on the 16th (Sat) early enough to travel back home.